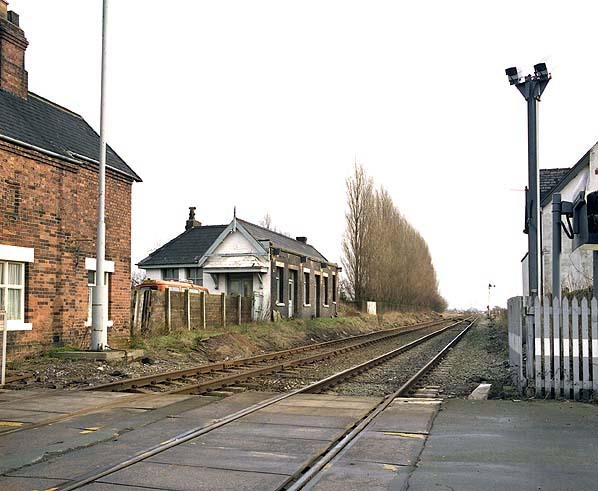 (formerly the St. Helens and Runcorn Gap Railway) opened a line from Garston Dock to a temporary terminus at Warrington Whitecross. 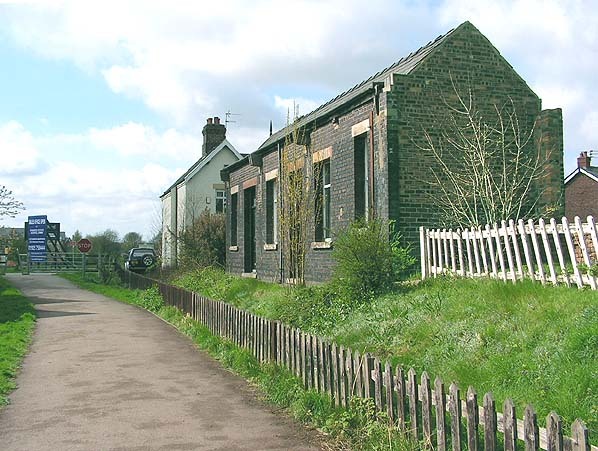 only then a matter of time and on 1.8.1864 the St. Helens Railway was absorbed also. This was to seal the lines fate as from this point forward it would always be a secondary route as far as passenger services were concerned. push/pull sets of coaches. 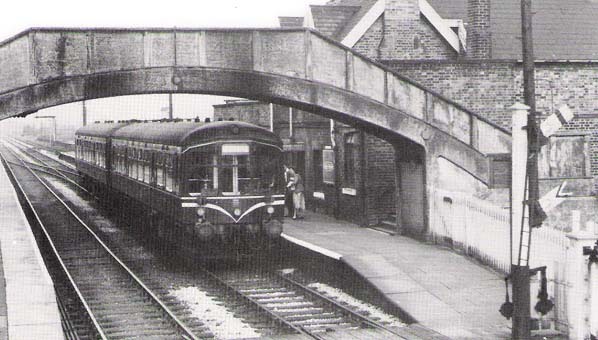 There was a brief interlude when DMUs were tried in the late 1950's but by the early 1960's the service was back in the hands of the push pull sets. expensive repairs were needed to the bridge over the Manchester Ship Canal at Latchford and many trains could take alternative routes. The line closed east of Latchford with the last booked trains running on 7.7.1985. In 1988 the line was lifted by a demolition train. 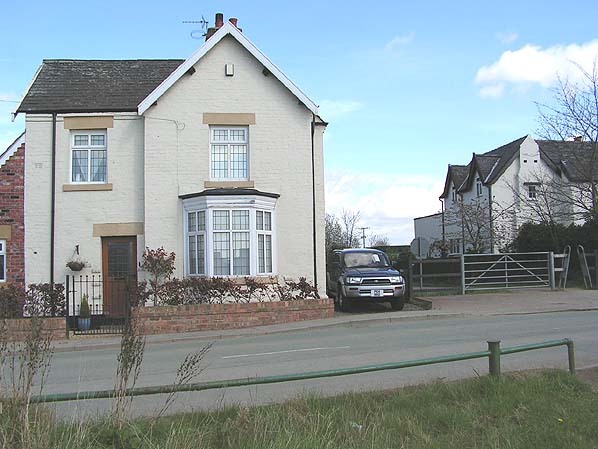 Today the route east of Latchford bridge forms part of the Trans Pennine Trail cycleway and footpath. 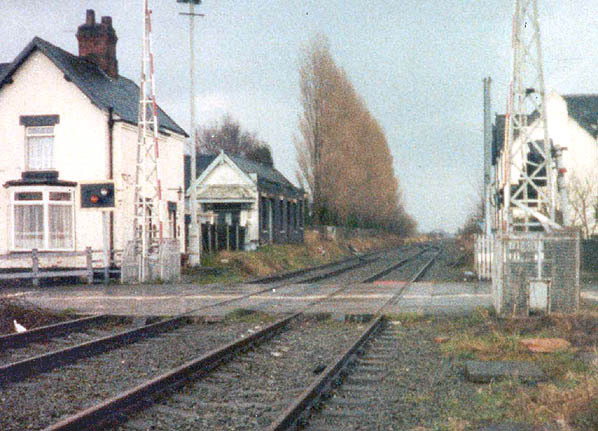 Heatley & Warburton station looking east in 1988 shortly before the track was lifted.